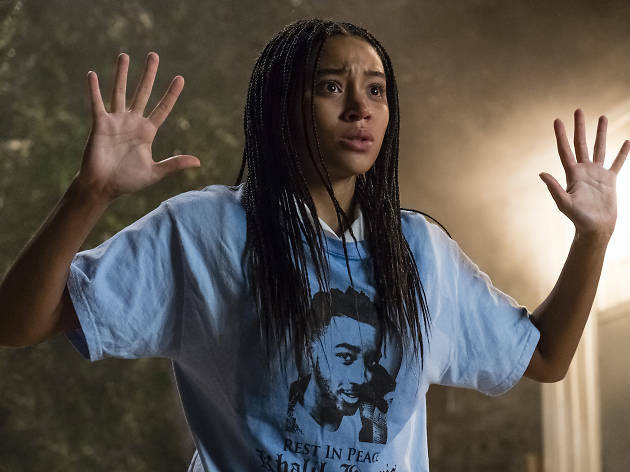 Amandla Stenberg’s performance catches the eye in a serious, striking drama for the Black Lives Matter era. The scourge of police shootings in the US shows no signs of stopping, but the Black Lives Matter campaign has at least flagged up the problem. 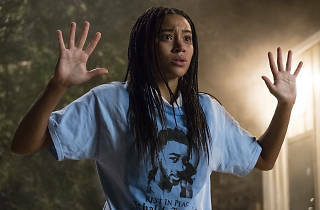 A crop of films has too, including the recent ‘Blindspotting’, but the one best placed to raise awareness is this adaptation of a bestselling young adult novel, driven by a fierce performance from ‘The Hunger Games’ breakout star Amandla Stenberg. Stenberg plays Starr Carter, a girl torn between two worlds: the tough, Compton-like neighbourhood where she lives and her chichi private school. She carefully keeps the two separate, until she witnesses the police shooting of a childhood friend and is forced to take a stand. Speaking out risks reprisals against her family and friends, as well as gang violence – courtesy of the drug kingpin (Anthony Mackie) who has publicly laid claim to the victim to keep her body out of the police’s clutches – and it will upend her life at school. Staying silent offers no guarantee of safety either. Or of change. It’s an awful dilemma for anyone, let alone a teenager, and while Starr has the support of loving parents she must ultimately decide on her own. It’s weighing cause and consequence that the film excels at. Director George Tillman Jr (‘The Longest Ride’) has often been saddled with weightless popcorn fare, but he leaps on the chance to make something with purpose. The result is a little long and occasionally unsubtle, but it’s an undeniable howl for justice and accountability. This is an important and compelling film. But the script shows its YA novel inspiration, with clunky dialogue, one-note characters, and unrealistically tidy resolution. The film has good intentions, but could have embraced complexity a bit more. Amandla Stenberg gives a truly impassioned and yet also, restrained performance. At home in the ghetto, she is the black girl with her black friends but in her private, predominantly-white school, she has to behave rather differently. She copes admirably until her black friend is shot. Her father, Maverick Carter (such a good name) is cast brilliantly in the shoes of Russell Hornsby. Huge issues are raised: race and privilege, attitudes and social change, love and hate. It's a story that still needs telling again and again. We've come far but not far enough. For goodness sake, just have a tissue ready!